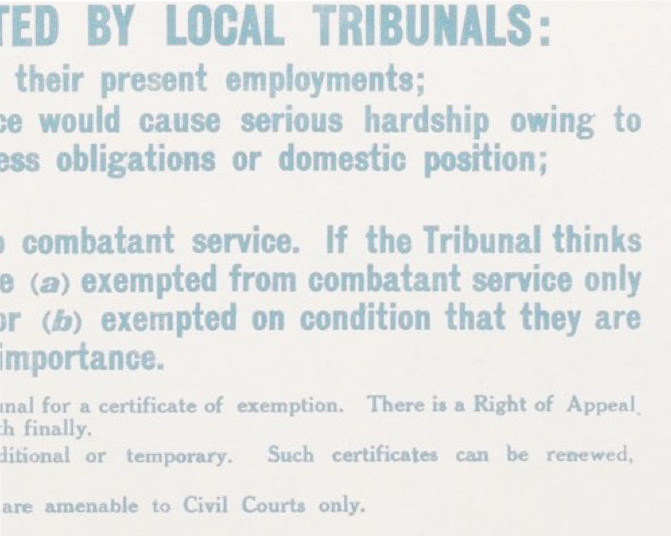 Activities and research into the experience of conscription and local Military Tribunals in the First World War. Exploration of the views of and attitudes towards local conscientious objectors during the First World War. Investigation of the arguments used for and against conscientious objection during the First World War.